You must be a member of the Bangkok Social Group to attend this activity. Would you like to join this group? 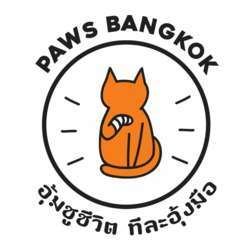 PAWS Bangkok - Nonprofit Organization · Animal Shelter · Charity Organization - will have a stall at Bangkok Farmers Market this weekend! Pop by their stall and meet fabulous adoptable kittens. You can also learn more about what they do, how you can get involved and you can make a donation to help continue the work they do - saving cats lives. We also have exclusive PAWS merchandise for sale. We always need help on our stall, so if you have some spare time and would like to get involved just sigh up - no experience necessary! Meetings point will be advised.